Medicare beneficiaries in Florida have the same Medicare Supplement and plan choices as seniors in most states. However, because Medicare Supplement plans in Florida are priced “as issued” instead of by age, they are significantly more expensive than most other states. This throws the pricing metric off so that plans that are the best value in other states are a poor value in Florida. It’s also why only 30% of people in Florida turning 65 choose Medicare Advantage plans, a slightly higher percentage than the national average. In this article, we show some tips and tricks for How Florida residents save on Medicare Supplement insurance plans. No matter where you live in Florida, there are three main Medicare Supplement plans that you should consider. For each plan, the prudent consumer will compare the plan features as well as prices. Those plans are Medicare Supplement Plan F, Medicare Supplement Plan N and Medicare Supplement Plan F-HD (high deductible). Medicare Supplement Plans are standardised by the U.S. Government. Different insurance companies may charge different premiums for the exact same policy. Once you have identified the plan you like, shop for the best price. Most insurance companies offer only a few Medicare plans. Few insurance companies offer all the Medigap plans. So what does this mean? First, Medicare Supplement plans are standardised. That means that ALL Medigap Plan F’s are identical, all Medigap Plan N’s are identical etcetera. This is very different from Medicare Advantage plans where you have to look carefully and compare the plan benefits and services. Where each Medicare Advantage plan is different, Medicare Supplements are the opposite. 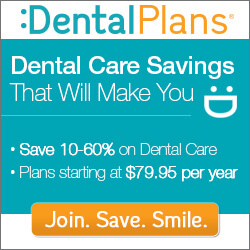 The benefits of each plan are strictly defined by the Center for Medicare & Medicaid Services. No matter which company sells the plan, it is identical in every way…..except price. All medicare Supplement plans from every company are also accepted by every doctor that accepts Medicare. Point two notes that different insurance companies may charge a different rate for the exact same Medicare Supplement plan. Often, the price difference from one insurance company to the next amounts to $100s per year. A good example came from a woman in Sarasota that contacted me off my website a couple of months ago. She had purchased a Medicare Supplement Plan F from a company that has a reputation for offering discount prices for former military families. She assumed she had a great price, but read my articles and asked me to show her what the competition offered. She was paying $220 per month. The best-priced insurer in her zip code offered the exact same Medicare Supplement for $175 per month. In less than thirty minutes she was on her way to saving $540 per year. Over her lifetime that could easily amount to $10,000 in savings. All because she decided to take a look at what was available rather than assume she had the best price. The third point is also important; just because a company offers a Medicare Supplement Plan F doesn’t mean they also offer a Medicare Supplement Plan N or Medicare Supplement Plan F –HD. Where this comes into play is for seniors who like to call an insurance company like United Healthcare /AARP or Colonial or USAA etc. and ask for the best plan and best price. If the company doesn’t offer a Medicare Supplement Plan N then they aren’t going to talk to you about the value that plan can offer. Or, more commonly, if they don’t offer a Medicare Supplement Plan F-HD, you won’t hear them talk about the plan and suggest you look into it, even though it is the absolute best value in Florida by a wide margin. In fact, counties like Martin with Port Saint Lucie, Palm Beach with Jupiter and Palm Beach Gardens and Broward county and others make Florida the number one market for Medicare Supplement Plan F-High Deductible in the country. The only way you can get the full scoop on all the plans that are available to you is by talking with an independent insurance broker that offers ALL Medicare Supplement Plans. Shield Insurance Solutions, the owner of this website, is one such broker. Sadly, even among us independents, very few brokers will talk about Medicare Plan F-HD even though they know it’s the best value. The problem is that the premium is so low that the commissions paid are one-quarter that of other plans. We like the Medicare Supplement Plan F-HD. It’s our number one Medicare supplement in Florida. Our philosophy is that we will find and offer the best plans available. If we make our clients happy, they refer others and we all benefit. Get A Free Quote Comparison Emailed To You Right Now! Take a moment to complete this quote request and we will email you quotes for all the Medicare Supplement Plans you should consider. Because we work with ALL major carriers and offer ALL Medicare Supplement plans, we will show you the lowest prices from A rated or better insurers. Just because Florida is an “as issued” state does not mean your insurance premiums don’t increase. They do, and some companies raise their rates much more than others. Some insurance companies price their Medicare Supplements to be competitive for the 65 to 68-year-old range. Others price their policies to be competitive for the 69 years old and up market. Very few can price to be competitive in both markets. Unlike most states, Florida Medicare Supplement policy prices are “as issued”. That means the price is not supposed to increase just because of your age. In most states, these policies are priced “at issue age”. On the surface, one would think this means that Medicare Supplement policies in Florida are cheaper for most seniors, especially those who purchase their policy when they are young. Nothing could be further from the truth. In order to get around the fact that prices cannot automatically increase every year just because of age, insurance companies priced their Florida Medicare Supplements as if you are already 85 years old or older. That’s right. A person turning 65 in Florida will pay as much for their Medicare Supplement as a person who is 85 or older in other states. If that weren’t frustrating enough, the age increase is only one way an insurance company is allowed to raise prices. The other is by declaring medical Inflation. If an insurance company declares that medical costs have risen 5% they can then apply for an across the board 5% increase in premiums for all policyholders. Needless to say, in Florida not only are we paying higher prices because of the “as issued” status, we also experience regular price increases due to rising medical costs. The bottom line with point number 4 above is this; do not assume that just because you are older now than when you purchased your policy you can’t save money by shopping. In literally eight out of every ten cases attempted, we have been able to save a person between $400 and $1,000 per year just by shopping their existing plan. Here is how it works. When we are new to Medicare we get an initial enrollment where we can select any Medicare Supplement plan we want without having to disclose any medical issues. This is a great feature of Medicare and invaluable to many who have preexisting medical conditions. To an insurance company, this can be a disaster. If too many people with preexisting health conditions sign up for their policy, the increased health costs would negatively impact profit margins. For this reason, many insurance companies will intentionally make certain their prices are not competitive for people in the 65 to 68-year-old range. That is the age range that most retire and either get their initial Medicare Enrollment or their Special Enrollment as they exit an employer health plan. Many insurance companies do not want that market because it could jeopardise the low Medicare Supplement plan prices for their healthy clients. They price their policies high for that age range to avoid getting seniors with preexisting conditions. These same companies that avoided the 65 to 68-year-old market are in a better position to offer lower prices to those seniors 69 and older. And they do. If you are a healthy senior and can pass some very basic health questions, you can qualify for much lower Medicare Supplement prices and be in a pool of healthier seniors. Because of this, prices will tend to stay low for many years ahead. What about those companies that are competitive for seniors 65 to 68? Because they absorbed more seniors with preexisting conditions their medical costs are higher and their premiums will be higher as seniors reach 70 years of age and older. These companies cannot compete in the over 70-year-old market because their medical costs are too high. These companies bank on a simple fact that many seniors get comfortable with their plan and don’t shop around. If they did, they would realise they are overpaying by $100s. You Save on Medicare Supplement insurance by using these companies when you are 65 to 68 years old, then switching to lower priced insurers once older. Don’t be that comfortable senior overpaying for Medicare Supplement coverage. You can Save on Medicare Supplement insurance by reducing your premium. Call us, email us or use the online quote request. It’s free, it’s easy and you will be glad you did!